1. Ask whether you actually need to travel super-light at all. If shedding a few pounds is going to cost a lot of pounds I usually prefer just to have a slightly heavier pack and regard it as extra-training! 2. Having said that, it certainly is nice to travel light. A great way to do this on a long trip is to imagine you are going away just for a weekend. Because you do not actually need a lot more gear for a year-long journey than an over-nighter. 3. From ‘Three Men in a Boat’ I learned that I must not take the things I could do with, but only the things I could not do without. Don’t try to cover every possible contingency. 4. Take a good book. I always deem a book worth its weight anyway, but they also double as toilet paper. Always read absorbing books. 5. Don’t bother with a towel – use your socks or just get dressed wet. 6. Decide what ratio of comfort:misery you are willing to tolerate. I now deem a 3/4 length Therm-a-Rest to be essential rather than luxury. I have also suffered too often from planning a trip from the comfort of a nice warm house and making decisions like “oh, I won’t bother with any food or warm clothes. I’mll just suffer a bit.” Easier said than done! 7. 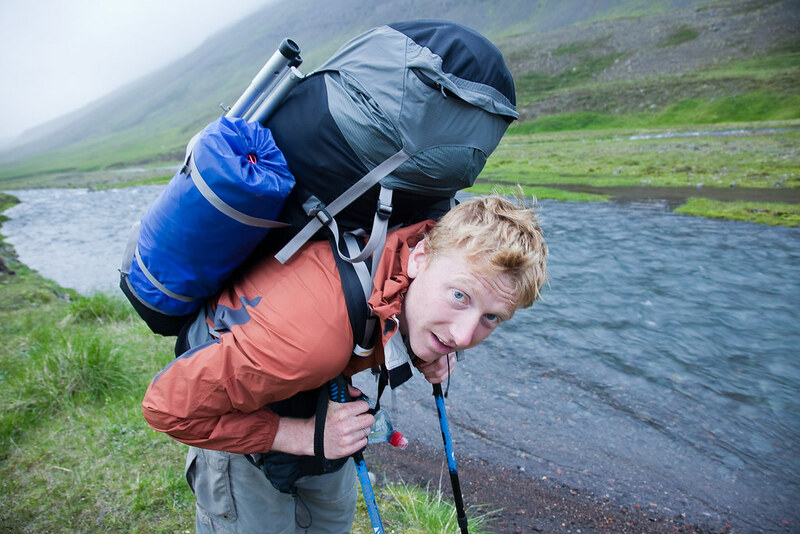 Don’t automatically choose a lightweight backpack. On a recent trip I saved about 1kg by using a very light pack. My shoulders and hips rubbed raw and I cursed the lack of padding. 8. I don’t care about being smelly, but I do care about being cold or hungry. This determines my selection of kit as much as anything. In other words, leave the spare pants behind, pack another bar of chocolate. 9. A bit of discomfort is a small price to pay for bringing simplicity, minimalism, and a lightweight ethos to your trip. 10. Any fool can be uncomfortable. Hi Alastair, you are right, any fool can be uncomfortable. I am certainly guilty of that and of trying to predict anything that might happen during the trip and thus packing any object I can think of that would help me in any of those situations. I am now trying to free myself from this mindset but man, it’s tough thing to do. Thanks for those tips, appreciate them.